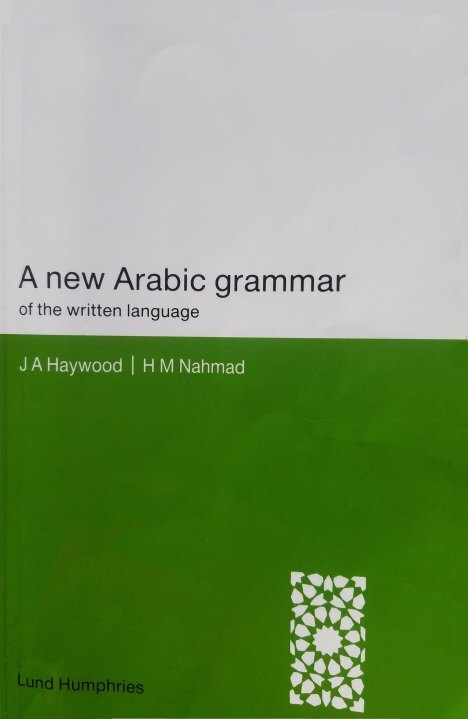 A New Arabic Grammar of the Written Language by Nahmad and Haywood is one of the best grammar books for learning Arabic. 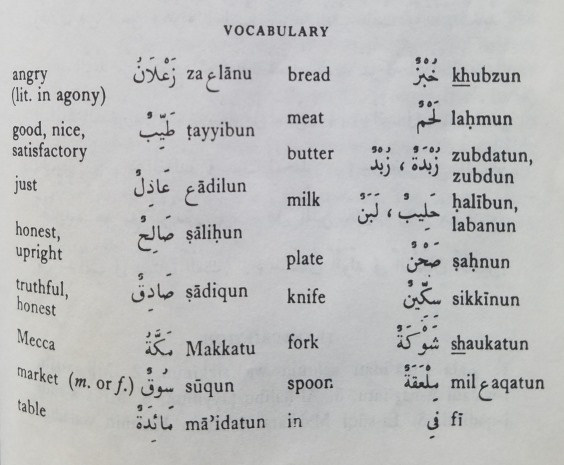 It was written in 1962 and focuses on teaching Arabic to English speakers. The book is ideal for people who can already read and write Arabic letters. After finishing, you will be able to understand the Arabic grammar rules used today and be able to pick up any newspaper. This book is also a great tool to prepare yourself for learning Quranic Arabic. A New Arabic Grammar of the Written Language explains a grammar rule and associated vocabulary per each chapter in the book. At the end of each chapter, you translate forty sentences between Arabic and English. The book is dense in grammar rules but has enough explanation and examples. We recommend picking up the Answer Key. Remember to translate the sentences to their understood meaning to get the most out of the book. The vocabulary learned in the book contains 2600 Arabic words that are organized in order of associated grammar rules. The words selected are the most frequently used in Arabic. You can view the vocabulary list on our website. Unlike other Arabic grammar books, this book does not skip any detail for the grammar rules. You will learn about how the small grammar rules affect the entire meaning of sentences. The book lists the names of the grammar rules in English but we recommend associating the Arabic name. Using the Arabic name of the grammar rule makes it easier to use other resources. A good technique to reinforce learning the grammar rules is to create flashcards that you study daily. Many learners of Arabic use this book as a supplement to their course material. Naturally, the book itself doesn’t allow for any opportunity to practice your speaking or listening skills. Some tutors assign supplemental work to their students to practice speaking and listening. Usually, supplemental work involves oral presentations and practice conversations. Be sure to view our other Arabic learning resources that will help complete your Arabic learning.